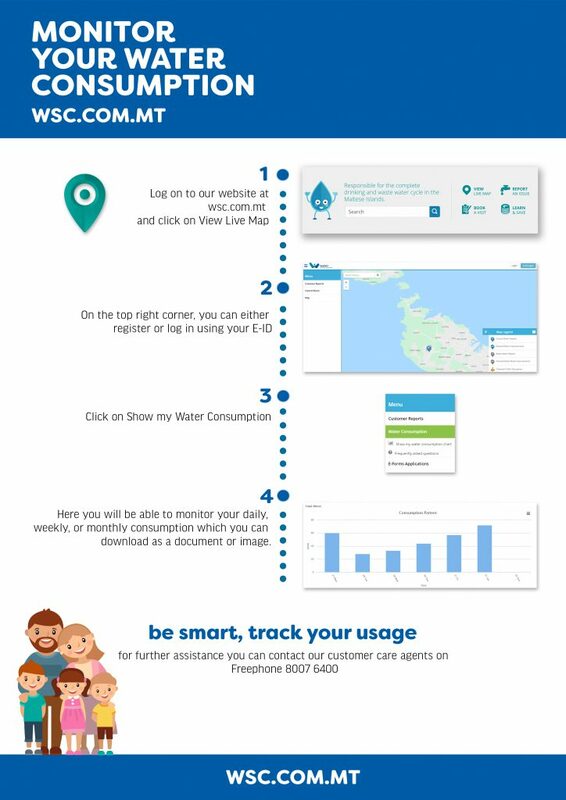 Want to monitor your daily, weekly or monthly water consumption? Want to know whether you have a water leak? Do not leave the tap running while you brush your teeth. A family of four can save up to 200 buckets of water per year by this simple measure. Conserve water because it is the right thing to do. To save water, energy, detergent, and money, never run the dishwasher without a full load. When buying a new washing machine or dishwasher, check the water requirements of various brands and models. Some use less water than others. Kettles should be filled with enough water for your needs but no more. This will reduce your electricity bill too. Just taking a five minute shower every day, instead of a bath, will use a third of the water, saving up to 400 litres a week. Repair dripping taps now! If your tap is dripping at a rate of one drop per second, you can expect to waste up to 1900 litres per year, which is a lot of water. Do not waste water just because someone else is footing the bill, such as when you are staying at a hotel or at work. Do not use running water to thaw frozen foods. Defrost foods overnight in the refrigerator, which saves even more energy, because as the frozen item thaws, it keeps the fridge cool. How to check for a possible leak in your household water system. 1. Close the stopcock feeding your water tank (normally on the roof). Make sure that during this exercise no more water is consumed in any part of your household. All taps must be closed and any washing machines or dishwashers switched off. 2. Close the stopcock located immediately behind the water meter. 3. Take note of meter’s reading (all the digits). 4. After 30 minutes re-open the stopcock by the water meter and check for any increase in the reading. 6. Close the stopcock at the outlet of the water tank. 7. Fill the vent pipe up to the very top. If there is no vent pipe, mark the water level inside the tank. 8. After 30 minutes check whether the water level in the vent pipe/water tank has fallen. Any drop in the vent pipe water level indicates a leak. 9. If there is no vent pipe and you have marked the roof tank you must allow a much longer time (at least 2-3 hours) with the stopcock open. 10. Any drop in the roof tank’s water level indicates a leak in your internal household water system. Close the angle valve feeding the toilet’s cistern. Add a little food colouring in the water and mark the water level. If after 15 minutes the level in the tank drops &/or colour is noted in the toilet bowl, the flushing system is leaking.